Our Barcelona lawyers have lately been receiving a steady stream of calls about producing and distributing cannabidiol-based products around the world, from Spain. Cannabidiol (CBD) is a compound found in cannabis but unlike tetrahydrocannabinol (THC), the compound in cannabis that gives users a high, CBD is non-psychoactive. Studies suggest CBD can be effective in treating epilepsy and other neuropsychiatric disorders including anxiety and schizophrenia. CBD may also be effective in treating post-traumatic stress disorder and may have anxiolytic, antipsychotic, antiemetic and anti-inflammatory properties. With so many potential benefits, it should come as no surprise that our Barcelona attorneys are so often asked about the legality of CBD oil in the European Union?” In short, it depends on what part of the cannabis plant from which the CBD oil was derived. CBD can be extracted from marijuana plants (cannabis sativa) or from industrial hemp plants. Both are cannabis varieties but grown for a different purpose and with a different “legal personality” reflecting the legal status of extracted CBD oil in the EU. Hemp has been cultivated throughout the world for industrial and medical purposes, and for the production of useful objects such as clothing, candles, paper, and thousands of other products. Hemp oil and hemp seeds also contain many essential nutrients. In Europe and in Spain, hemp must be grown under EU regulations. 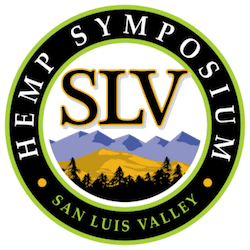 Industrial hemp must contain no more than 0.2% THC on a dry weight basis. If the EU criteria are met, then a hemp producer may obtain EU certification for the product. Failure to follow protocol can lead to trouble. Local Spanish farmers producing hemp are right now facing criminal charges for crimes against public health for having not fulfilled current regulations in production. This adds uncertainty for foreign investors in finding the right provider of raw material. Medical marijuana contains high levels of THC, concentrated mainly in flowers and trichromes of the plant. 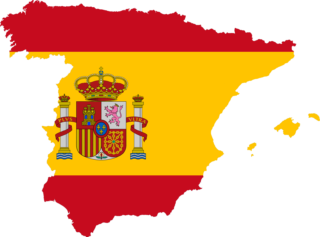 Those wishing to import CBD based products into Spain face labeling requirements. The number of CBD products available on the Spanish market has increased but most consumers are unaware of the exact amount of CBD they should take, or do not know the exact composition of the CBD oil or tincture they are buying. Clear labeling is essential when distributing CBD in Spain. A product’s label should describe the exact concentration of CBD as an active ingredient, the content of the solution, the specified amounts of each ingredient, the manufacturing method used, and the instructions for use and dosage. The label should also refer to a website with more detailed information. Uncertainty also comes from a recent change in US law. Previously, the legal status of CBD products in the US also turned on the part of the cannabis plant from which the product was extracted. However, the Drug Enforcement Administration recently promulgated a rule creating a new “Controlled Substances Code Number” for “Marihuana Extracts” and extends that classification to extracts “containing one or more cannabinoids from any plant of the genus Cannabis.” CBD is a cannabinoid and hemp is a plant of the genus Cannabis so the rule explicitly applies to CBD products sold in the US. Though we vehemently dislike this new rule, it does mean that companies should not distribute CBD products in the US unless they are doing so pursuant to state law in a state where marijuana is legal in some form. The Spanish market has an appetite for CBD dietary supplements that is not being met by the many other plant-based dietary products being launched and accepted by the Spanish public. The opportunities for CBD products are clearly there in both the EU and in Spain, but this is a complicated legal arena that calls for caution.